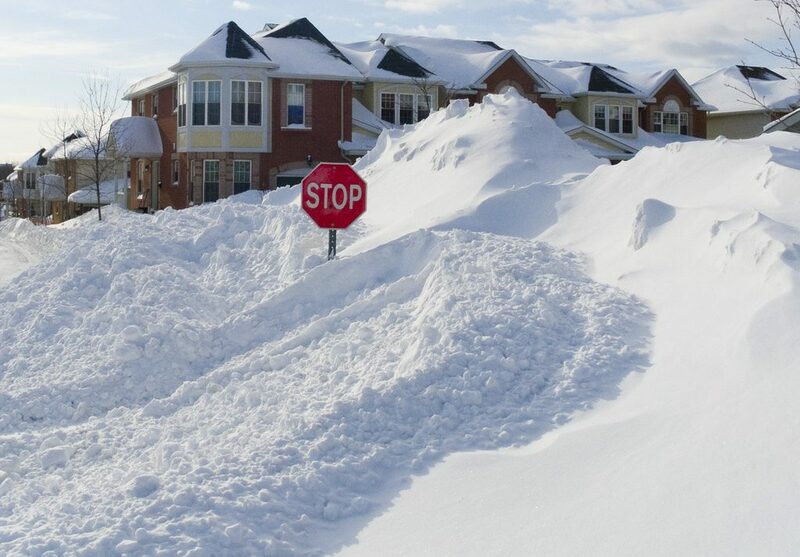 Are you going to get a lot of snow and extremely cold temperatures this winter? The answer to that question depends on where you live. As always, the Old Farmer’s Almanac has a lot to say on the matter. What sort of weather are you likely to see outside your window while we’re waiting for the spring growing season to arrive? Let’s find out if you’ll need your snow shovel, snow blower, salt, or all of the above for winter 2018. Check out the winter weather forecast for 2017-18 in the Old Farmer’s Almanac and you’ll see cold and snowy weather in the northwestern states, including Idaho, Montana, and Wyoming. This cold, snowy forecast extends downward to Colorado, Utah, Nevada, and a section of Kansas. The cold temperatures and snowfall in these states will be about the same as in past years. Eastern and southeastern states in our country will experience a mild, wet winter this year. In the Northeast, where I live, the precipitation levels will be high, leading to more snowfall. In addition, people living in the Northeast will get especially cold temperatures in January. The Great Lakes and central plains will also get above-normal snowfall. The western states are due for a mild, dry winter this year. Did you know that nearly every state in our country has experienced below-zero temperatures at some point? Hawaii is the only state that’s not on that page in the record books, though Hawaii did have an all-time low of 12 degrees at Mauna Kea Observatory in 1979. On Feb. 13, 1899, the temperature dropped to two degrees below zero in Tallahassee, Florida, but do you know which state has had the coldest temperature ever recorded? You guessed it: Alaska! Anyone venturing into Prospect Creek, Alaska, endured a temperature of 80 degrees below zero in January 1971. Even the polar bears wanted to come inside to get warm that winter! In the contiguous United States, the lowest recorded temperature was at Rogers Pass in Montana. The mercury fell to 70 below zero there in January 1954. More recently, in February 2011, the temperature fell to 31 degrees below zero in Nowata, Oklahoma. The record for the most snowfall in a month belongs to the city of Tamarack in California. This city had 32.5 feet of snow back in January 1911. The heaviest snowfall in 24 hours happened in April 1921: Silver Lake, Colorado, received a little more than six feet of snow in that time period. The city of Milton, Florida, received four inches of snow in March 1954, which was the state’s heaviest snowfall in a 24-hour period. I wonder if anyone living in Milton tried to build a snowman? Do a light stretch before going out to shovel your driveway. Shovel only fresh, powdery snow: It’s lighter than wet snow. Push the snow to the sides of your driveway instead of lifting it. Wear layers outside so you can take off a jacket or scarf if you feel hot. And remember, whether you’re looking forward to feet of snow this winter or are more likely to get just a bit of rain, spring is only a few months away!